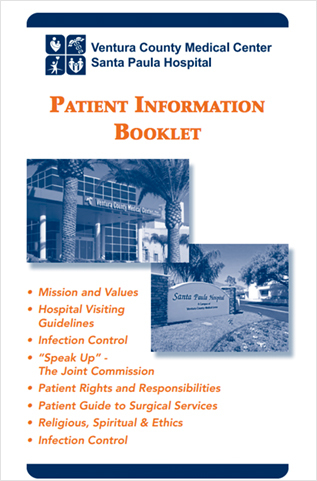 The Patient Advocate Office at Ventura County Medical Center (VCMC) and Santa Paula Hospital is available to assist patients, family members, and friends with any non-medical question or concern relating to their outpatient visit or hospital stay. At VCMC and Santa Paula Hospital, we work as a team to ensure that every visit meets your expectations, and that your visit is as pleasant and comfortable as possible. The Patient Advocate office is ready to listen to your concerns. Our staff has been trained to assist you. Please feel free to ask for the department manager/supervisor to address your concerns, or call the Patient Advocate office at (805) 652-6691.